Now, there's an innovative way to travel around your neighborhood. Entering the vehicle is a simple walk in and sit. Seat has a contoured back support for comfort. It is available in one or two seats. 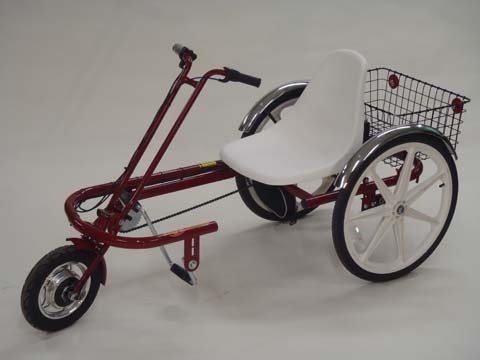 The Joyrider comes with one speed, coaster brake, handlestop, and fenders. The Joyrider is also available with an Electric Hub Motor. 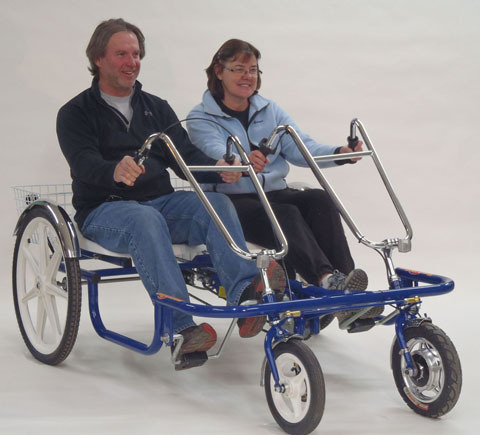 The Double Joyrider comes with one speed, or get it motorized with an Electric Hub Motor. Shipped fully assembled or unassembled.